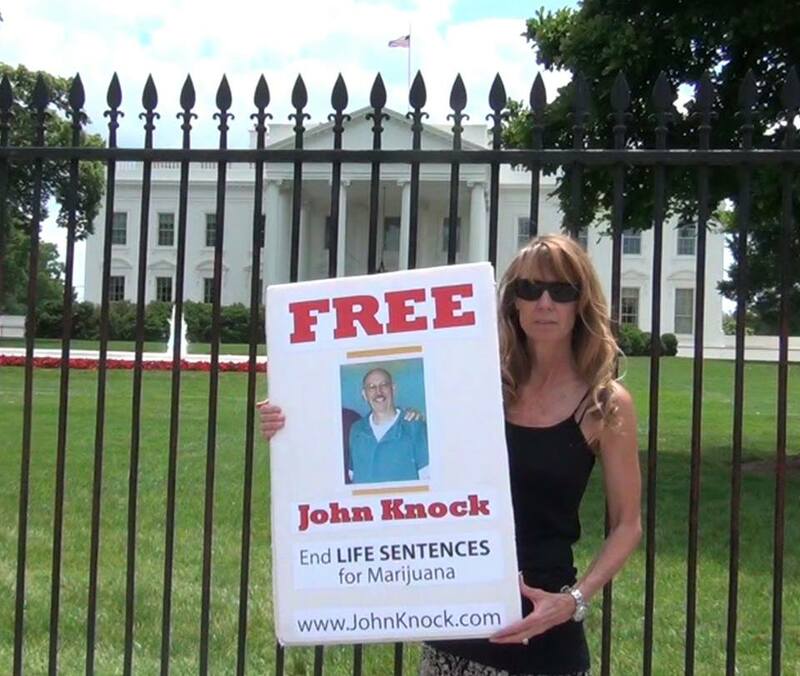 "John Knock received two life sentences plus 20 years behind bars for his alleged involvement in marijuana trafficking from Pakistan and Lebanon to the United States and Canada in the mid-’90s. Knock was living in Hawaii when he was extradited to Florida, a state in which he had never lived, to face charges related to a reverse sting because of his connection to an indicted San Francisco smuggler. The only evidence against him was the testimony of informants, and yet Knock is on track to die behind bars. While a life sentence for marijuana may seem incredibly rare, it has been handed to multiple nonviolent offenders. (For more information, visit www.lifeforpot.com)." See full Salon article here. According to The Daily Signal, Hans von Spakovsky "is an authority on a wide range of issues—including civil rights, civil justice, the First Amendment, immigration, the rule of law and government reform—as a senior legal fellow in The Heritage Foundation’s Edwin Meese III Center for Legal and Judicial Studies." When it comes to the pardon power, however, he appears not to be the brightest bulb. In a stumbling, bumbling piece, Spakovsky says he is "concerned over President Barack Obama’s excessive use of his power under Art. II, §2, Cl. 1 of the Constitution to grant pardons and commutations." So, you know right away that this will be an entertaining read. 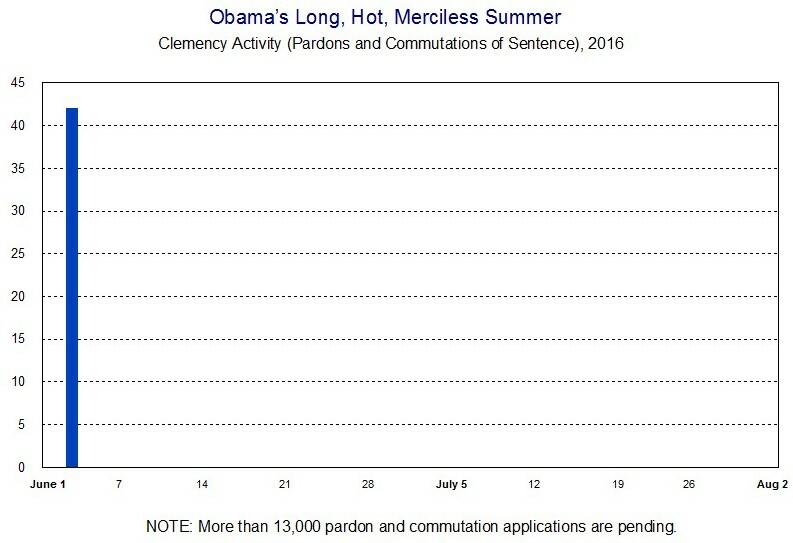 Obama was exceptionally slow to grant the first pardon of his administration. His first term (featuring a mere 22 pardons and 1 commutation of sentence) was the least merciful since the first term of George Washington! 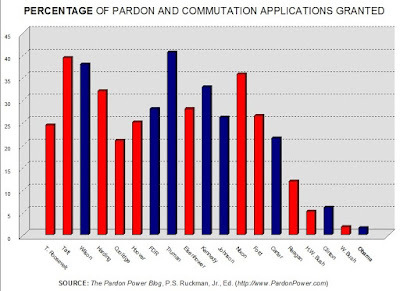 Obama's record on pardons remains abysmal. So, what planet is Spakovsky on? Well, more specifically, he is concerned that Obama has extended clemency to "hundreds of drug dealers, many of whom also were convicted of firearms offenses." Of course, the word "many" is a red flag. If you have some data, let's see it! 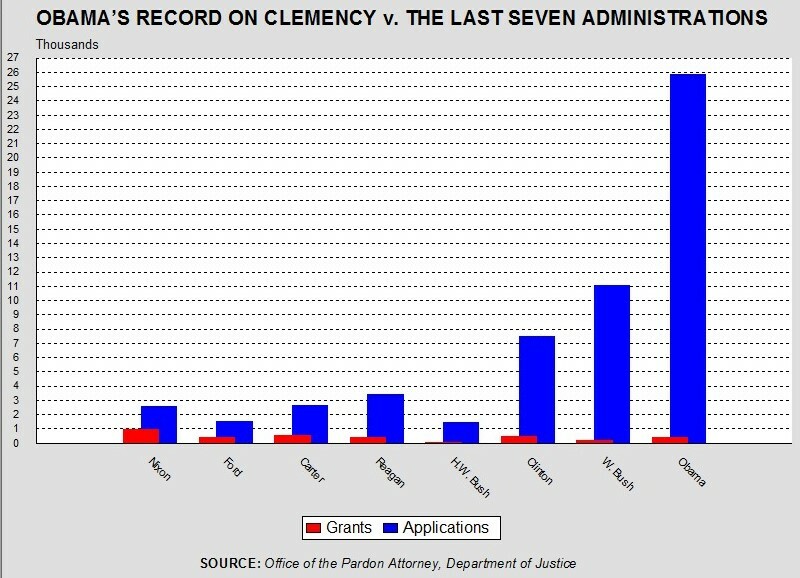 But, regardless, does the President have the power to extend clemency to such persons? Of course he does. Has Obama violated some constitutional limit on classes of pardonable offenses, or offenders? Certainly not. President Obama recently invited interested persons to the White House to discuss issues related to federal executive clemency. White House counsel Neil Eggleston appeared at the event and said there would be no sleeping or eating until the DOJ bureaucracy processed its record backlog of commutation applications. 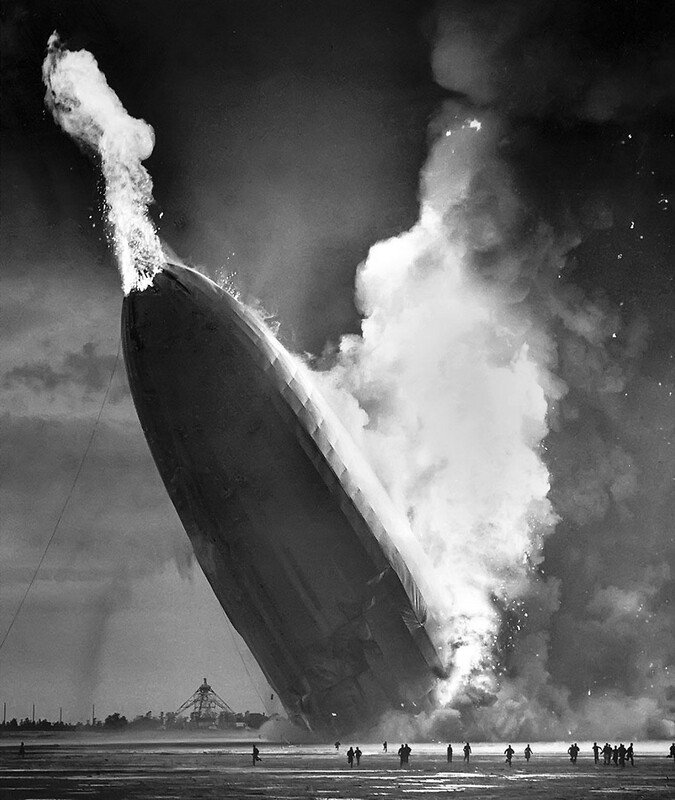 Here (below) is a summary of how the first 9 weeks of the President's last summer in office have flushed out. Quite the weight loss plan that. San Francisco Chronicle columnist Debra Saunders thinks the Governor is on to something. 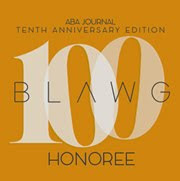 She reminds us that Manson is "best remembered" for leading his "followers to kill five people in "brutal, premeditated acts of terrorism designed to spark Manson’s envisioned race war between black and white." I believe that if Van Houten is truly remorseful, then she should accept that her punishment is to spend her days repenting in a correctional facility. I don’t make light of prison and the loss of autonomy. But life behind bars is a fitting sentence for torture/murder. Manson’s design was to terrorize civil society. Van Houten tried to burn down that house. She doesn’t get to come back into the house. If approved by the governor, it would be the second time House Bill 43 has been used to grant clemency. Passed in 2015, the bill gives the governor final authority over clemency requests from people convicted of crimes. The governor also would be able to waive fines, lessen a sentence or pardon someone. Foster was convicted in 2000, when he was 19 and his victim (and future wife) was 15. They married in 2004, and now have four children. The petition was first sent a request to the Board in 2012 and were denied. See story here. The Virginia Supreme Court recently ruled "the clemency power may be broad, but it is not absolute" - a position taken by no governor, or president, in the history of the United States. The Court then hopped on the straw man's shoulders and boldly observed none of Virginia's 71 Governors has ever "issued [a] clemency order of any kind, whether to restore civil rights or grant a pardon, to an entire class of unnamed felons." No, they all "exercised their clemency powers — including pardons, reprieves, commutations, and restorations— on an individualized case-by-case basis taking into account the specific circumstances of each." We acknowledge the contention that the Governor’s Executive Order did not wholly suspend the operation of the voter-disqualification provision ... Even so, we fail to see why this matters. The Court concluded that Governor McAuliffe's attempt to restore voting rights to hundreds of thousands of felons - in the style of amnesty, or group pardon - amounted to an attempt to "effectively rewrite the general rule of law and replace it with a categorical exception." Frightening stuff indeed. No, McAuliffe, said the Court, could only "use his clemency powers to mitigate a general rule of law on a case-by-case basis." Dissenters noted the Court's notion of "suspension" was even more goofy than its analysis suggested. ... the majority [improperly] defines what suspension means [The] . . . term is generally applied to the abrogation of a statute or statutes, so that they lose altogether their binding force . . . [T]he law is put out of action; . . . it is in substance repealed . . . A pardon does not affect the legality of the act. It simply frees a guilty person from the legal consequences of his illegal acts ... The terms of [McAuliffe's] Executive Order are not prospective and do not prevent any felon from being disqualified from voting upon conviction. 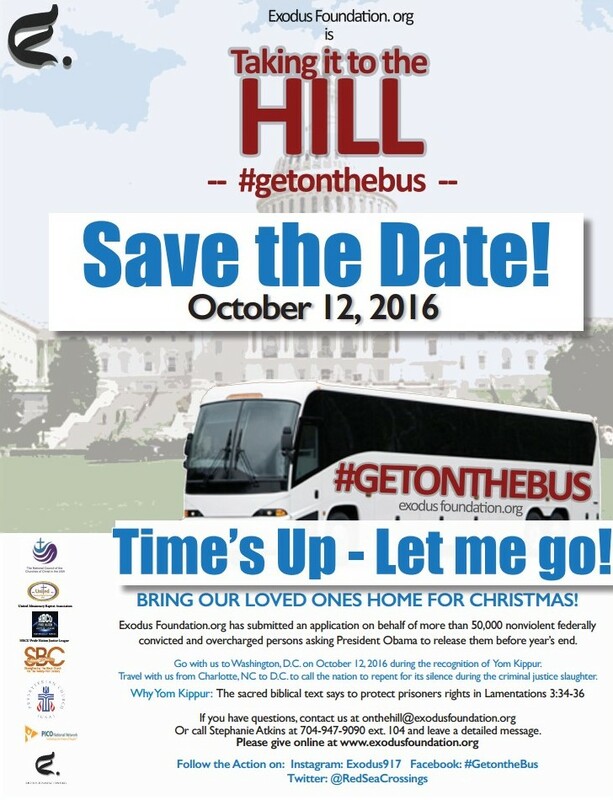 Rather, the Executive Order only restored the rights of a subset of felons, namely, those individuals previously convicted of a felony who, as of April 22, 2016, were no longer incarcerated or on supervised probation, which is approximately 206,000 of the over 450,000 felons eligible to be considered for restoration. Moreover, felons whose rights were not restored by the Executive Order, as well as newly convicted felons, continue to be disqualified upon conviction. [Indeed], if the Executive Order was, in fact, a suspension of the Disenfranchisement Clause, there would be no need for the Governor to enter subsequent orders restoring the rights of additional felons. When Governor McAuliffe’s term is over, the new governor will have the discretion to decide whether to restore the rights of subsequent felons disqualified from voting upon conviction as required by the Disenfranchisement Clause. Thus, it is apparent that the Executive Order clearly did not actually reframe the Disenfranchisement Clause as asserted by the majority, nor does it suspend operation of that constitutional provision. So, it's easy. McAuliffe told Democrats at the national convention that he will indeed restore voting rights to those hundreds of thousands of felons within the next two weeks. According to the Washington Post, he "vowed to use an autopen to sign the orders." See story here. "The majority ignores the plain language of [the] Disenfranchisement Clause, Article II, Section 1, and the Restoration Clause, Article V, Section 12, which clearly contemplate that the Governor has the authority to “remove political disabilities consequent upon conviction.” Not only is the majority opinion, with respect to the purported violation of the Suspension Clause, not supported by the plain language of the Constitution of Virginia, but it is also decided in a manner that is contrary to established Virginia jurisprudence. To the extent one could view the Governor’s action in restoring political disabilities as a suspension of law, the Governor would be “suspending” the law each time he removed a person’s political disabilities, whether he did so on an individual basis or by categorical order. But by approving the Disenfranchisement Clause of the Constitution and by giving the Governor executive clemency powers in the Restoration Clause, the people of the Commonwealth have given their consent to the Governor’s suspension of the law within the limitations set out in the Restoration Clause. Virginia Governors have been exercising this authority for over two hundred years and there is no dispute that a governor’s exercise of such clemency power on an individual basis does not violate the Suspension Clause. "The majority ignores the plain language of [the] Disenfranchisement Clause, Article II, Section 1, and the Restoration Clause, Article V, Section 12, which clearly contemplate that the Governor has the aut hority to “remove political disabilities consequent upon conviction.” Not only is the majority opinion, with respect to the purported violation of the Suspension Clause, not supported by the plain language of the Constitution of Virginia, but it is also decided in a manner that is contrary to established Virginia jurisprudence. 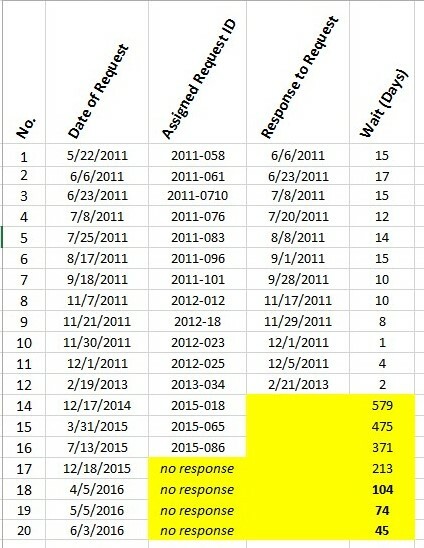 ... it is particularly telling that the majority does not dispute the fact that the Governor may remove an individual felon’s political disabilities for any reason he chooses, including that he has served his sentence. Moreover, the majority acknowledges that the Governor could use many individual orders to achieve the mass restoration of rights he sought to accomplish under the Executive Order. Thus, the majority, in essence, takes the position that the Suspension Clause requires the Governor to exercise his executive powers in a different, less efficient manner. Gov. Jay Nixon is pardoning eight persons "convicted of nonviolent crimes." Sentences included convictions for "stealing, selling cocaine and writing a bad check." Each of the recipients has "finished" associated sentences and "later found work or pursued an education." Now, the pardons restore their rights. The Democratic governor has now granted a mere 31 pardons and 3 commutations of sentence since he entered office, way back in 2009. It is also reported that there are "about 3,000 pending requests for clemency." See story here. The New Yorker ... Fumble !!! 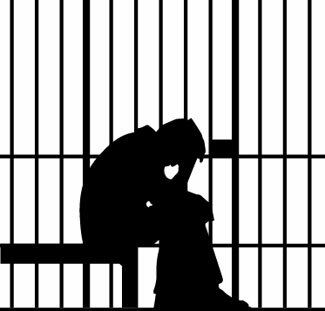 At The New Yorker, David Cole has produced a piece entitled, WHY HASN’T OBAMA’S CLEMENCY INITIATIVE HELPED MORE NONVIOLENT DRUG OFFENDERS? In our mind, reading it is something akin to watching that classic clip of Jim Marshall (defensive lineman for the Minnesota Vikings of old) picking up a fumbled ball and running it all the way into the end zone ... the wrong end zone. Really impressive stuff, but mostly for all the wrong reasons. Cole offers President Obama "credit" for having "shown more concern for criminal justice reform than any President before him" - something we are not so certain we can agree with, but are willing to greet with the benefit of the doubt, assuming someone of Cole's stature has researched the matter in some serious way. 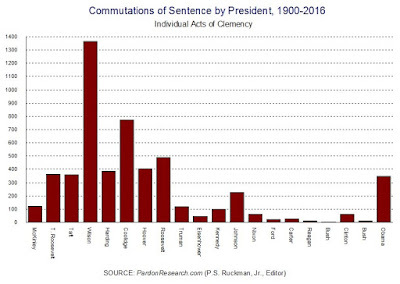 Unfortunately, Cole then notes, "Obama has approved three hundred and forty-eight commutations, the most of any President in history." Which instantly put Cole in the category of "incompetent and/or lazy" (re this topic, of course). So, that didn't last long. It's really a shame that people with access to such a reading audience like that of The New Yorker are capable of producing "analysis" so shoddy, so devoid of anything like careful, serious consideration.